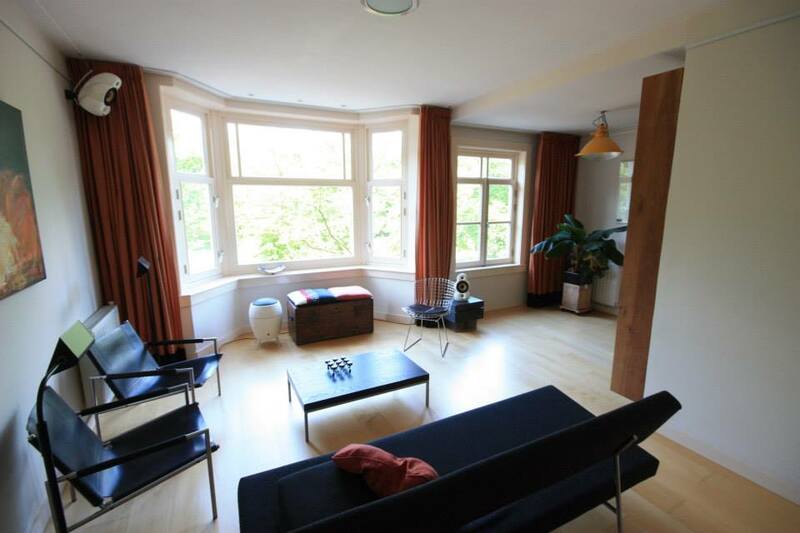 During my upcoming Amsterdam to Sydney journey I will be renting out my apartment. From the second quarter of 2018 onwards the apartment is available long term. Send me a message if you’re interested in renting the apartment. 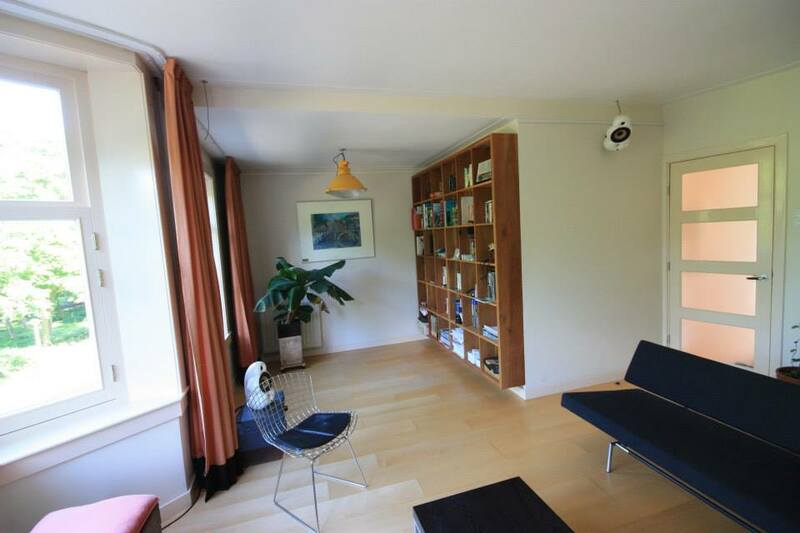 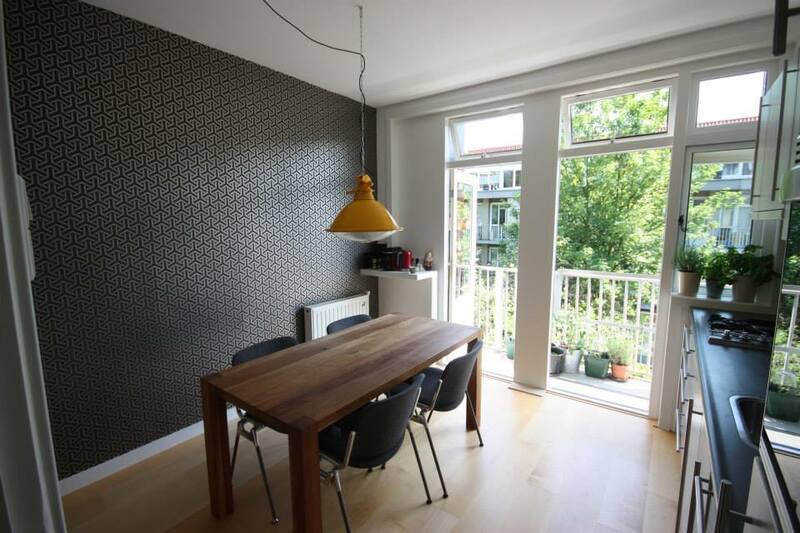 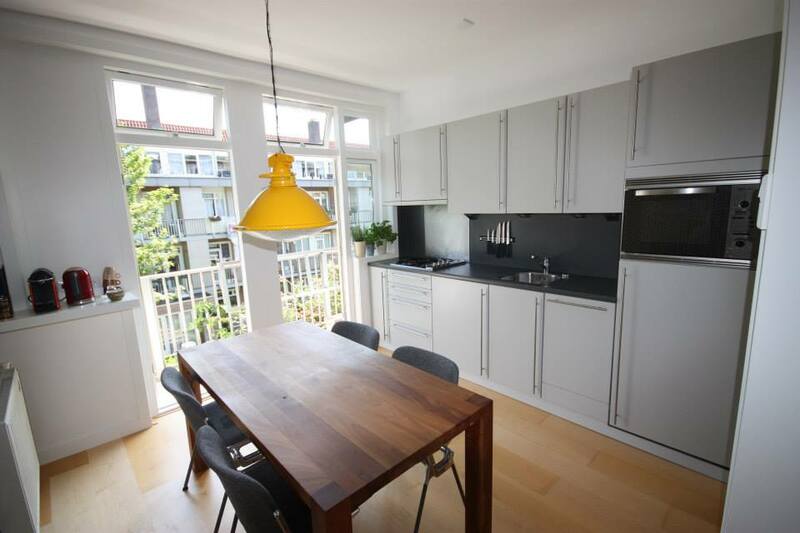 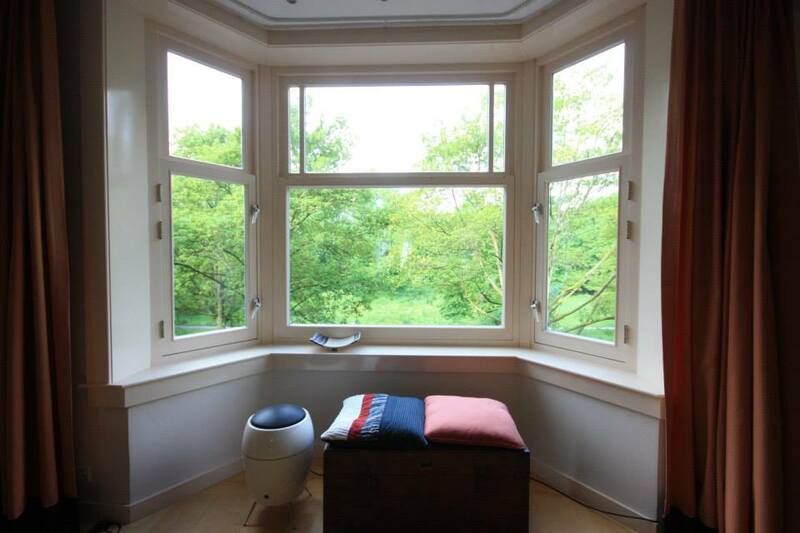 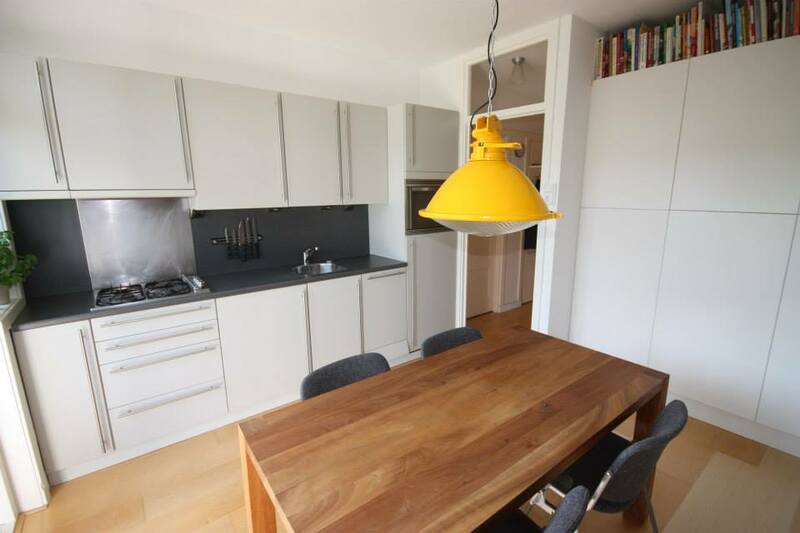 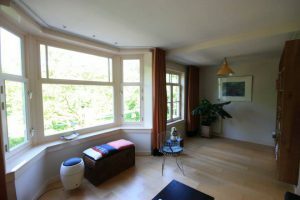 The light 65 m² (700 ft²) apartment is located in Amsterdam west, is situated on the second floor and has a magnificent green view over the Rembrandtpark. Throughout the apartment a home automation system is installed to control the lighting and entertainment system. 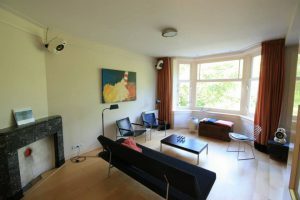 The large living room oversees the park and is furnished with Dutch and international designer furniture. 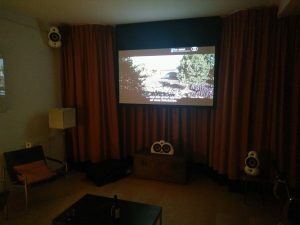 A home cinema system with beamer and surround sound system is installed for your entertainment. The couch in the living room can be converted to a one person bed (70 × 190 cm). A fully equipped dining kitchen, including dishwasher, is situated at the backside giving access to the balcony, the perfect spot for a sunny breakfast. 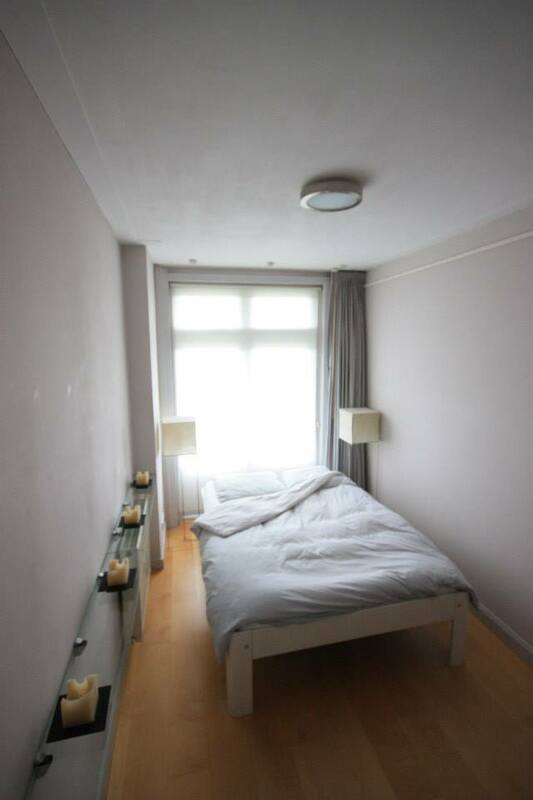 The master bedroom, also at the rear, offers a double sized bed (140 × 200 cm) and French doors to the balcony. 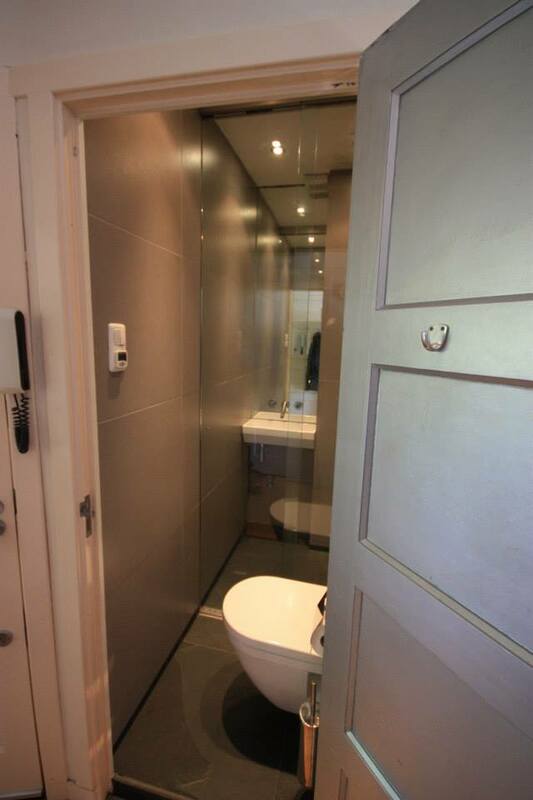 The small bathroom is equipped with all necessities and floor heating for your comfort. 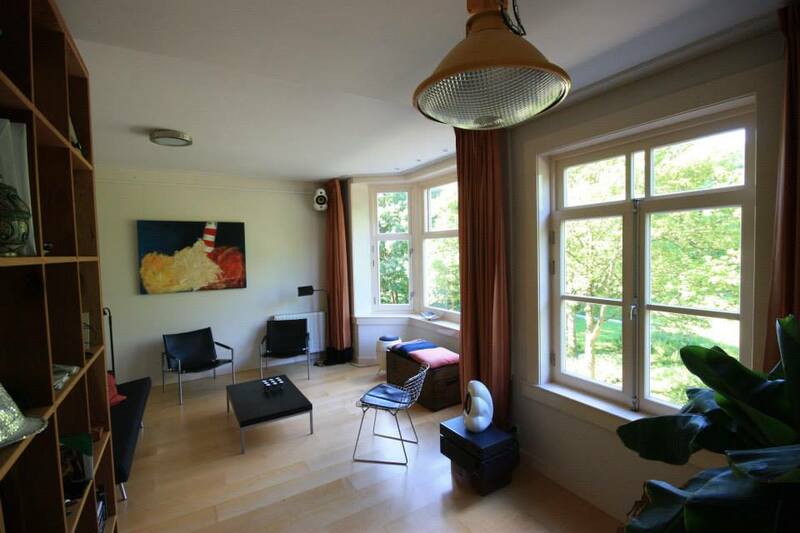 The park is a perfect spot for a picknick or barbecue at the waterside, a barbecue is provided for you to use. The apartment is fully furnished and even utensils, towels and bed linnen are provided. 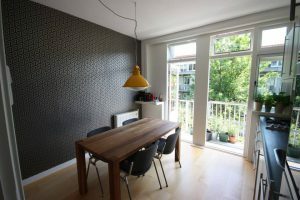 The rental price, on request, includes city taxes, internet connection, service costs and other fixed costs. Gas and electricity is not include as I find it important that tenants take their responsibility over their own energy consumption.